Emily Carr built a state-of-the art campus for 21st century learning at Great Northern Way in Vancouver, British Columbia. "Emily Carr's Great Northern Way Campus will be at the centre of a new social, cultural, educational, entertainment and economic engine for British Columbia." - Dr. Ron Burnett, President + Vice-Chancellor. The new campus allows the university to meet increased student demand, accommodate current and emerging program areas, and build on its reputation as a leader in developing world-class creators. The new campus is designed to achieve LEED Gold Certification and complies with the Wood First Act. The act requires the use of wood as the primary building material in all new provincially-funded buildings. The act supports the Wood First Initiative launched by the provincial government that promotes the use of wood products. Construction was completed just in time for the fall 2017 semester in the new campus, with doors opening to students in the first week of September. Tour the New Emily Carr University of Art + Design in Vancouver from DiamondSchmittArchitects on Vimeo. The Great Northern Way Campus is a 7.28-hectare (18-acre) site on the False Creek flats, which is owned and developed jointly by the University of British Columbia, Simon Fraser University, B.C. Institute of Technology and Emily Carr University of Art and Design. The new Emily Carr university campus will continue and accelerate the growth of the Great Northern Way Campus into a high-profile district for the digital and creative sectors in Vancouver. 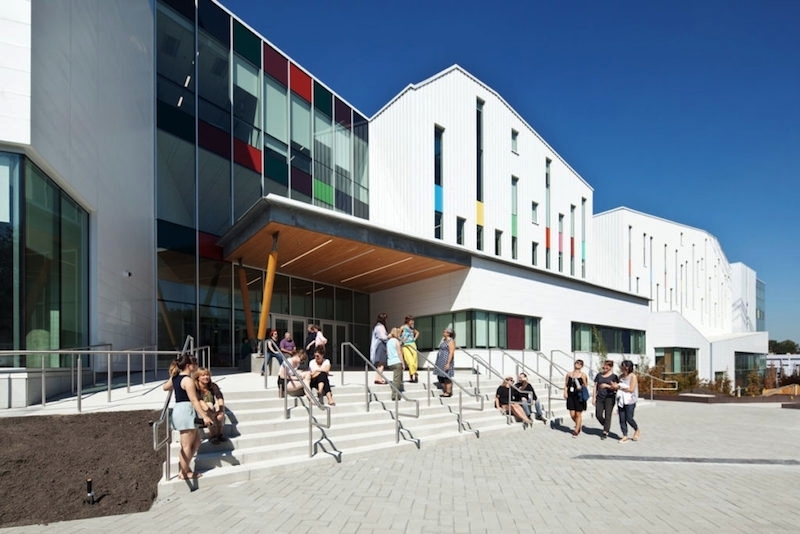 The new Emily Carr university campus created an estimated 1,000 jobs during construction. The capital cost budget of the project was $122.65 million, including a provincial investment of up to $101.65 million, with $21 million to be raised through the university’s capital campaign. As part of Budget 2016, the government planned to directly invest $942 million in planned capital expenses in the post-secondary sector over three years (2016-17 to 2018-19). Want more information on Kalzip?